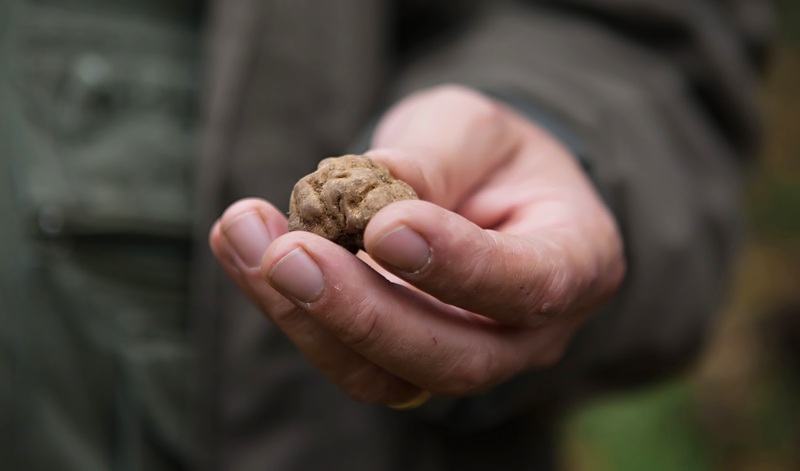 Perhaps few people know that even in the Como area you can find and savor truffles, and that their fame is due to the lombard botanical Carlo Vittadini who has devoted his entire career to the meticulous description of the “Tuberacee” family. But don’t confuse you: truffles are not similar to potatoes or other vegetables with roots. Truffles are mushrooms that generate underground fruits that you can usually find in trees like oak, lime, hazel, poplar because they are growing up in a symbiosis with their roots. Como is a truffles area: that is confirmed also by letters written in 1569 by Thomas Porcacchi contained into ‘The nobility of Como’ in which he praised their shape and delicacy. He was also writing about the official thanks of Sant’Ambrogio to the Bishop of Como, San Felice about its gift of Larian truffles. Later, in 1802 the Count Giambattista Giovio says in his writings how he managed to create a kind of artificial cultivation of truffles in the woods near his house. How much is a truffle? The most famous is the white one. The best place to find this kind is Alba, in a region called Langhe in Piedmont, other places in Italy are Aqualagna (Marche) or Oltrepò Pavese (Lombardy). This species are sold (today) for approximately 3,000 / € 4,000 per kilo. Then there is the famous black truffle from Norcia that cost approximately 6-8oo € per kilo. Finally, as a specialty, we have the so-called ‘verrucone’ truffle so named for its warty surface and which is sold at about € 150-200 per kilo. The conformity of the Como area does not favor the birth and growth of the white truffle, but certainly it’s a good place for the black especially in the period between November and March, while in the summer between August and December. 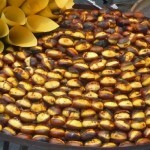 In practice, if anyone would look for truffles would have most of the year available. Normally, researchers in the Lake Como area are finding in average 3-4 kg of truffles, an amount that decreased every year due to less humid days and because in some areas where the forest has been unfortunately abandoned: brushes are increasing and the truffle has difficult to develop. 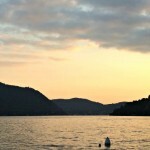 How to cook the black truffle of Lake Como? They say that the white one is good also not cooked, while the black one is better if you cook it or if you use it for sauces or fillings. How to become a truffle hunters on Lake Como? To be truffle hunters must have a provincial permit, the passion for mountains and definitely you have to be accompanied by a trusted friend: a truffle dog. The most recommended one is the “Lagotto Romagnolo”, that has a long tradition as a dog for hunting, because of its sense of smell that permit to locate truffles in the most unexpected places. Are you a seeker of truffles and do you want a vacation with your four-legged friend? 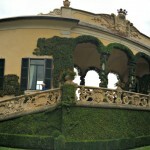 Choose our Hotel Posta on Lake Como. 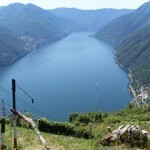 Our Hotel is located in Moltrasio, outside Como and it is an ideal and strategic location to discover the territory. Here you can find all the details. We are happy to accommodate small dogs, please contact us and ask for information! I, Armando and all the staff are waiting for you, as always, with a smile!